The latest sugartastic story brings a new baby to the Candy Kingdom. 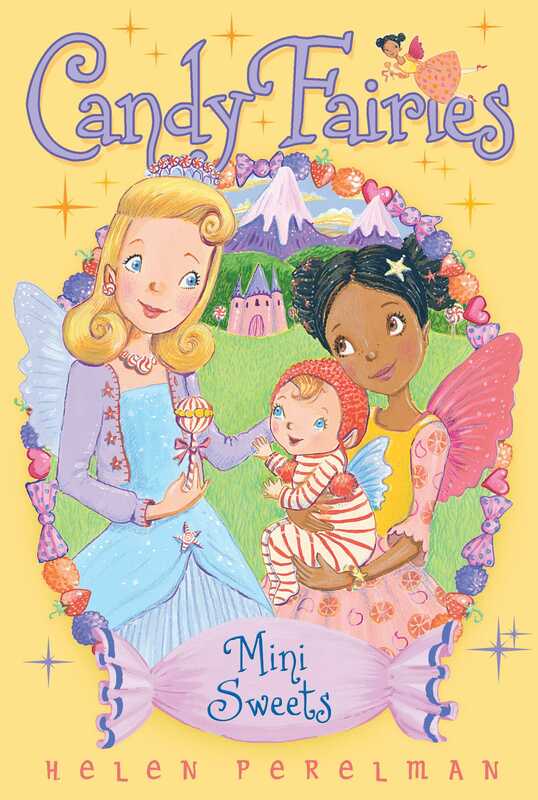 Princess Mini is Princess Lolli and Prince Scoop’s new baby, and Berry the Fruit Fairy is the lucky one who’s been watching over her. But the littlest candy fairy has cocoa fever, an illness that wrecks havoc on Sugar Valley! Can Berry figure out a way to save the royal day? Berry the Fruit Fairy flew across Sugar Valley. She had been in the Sour Orchard picking fruit gems for her latest dress design and hadn’t realized how late it had gotten! Sometimes Berry got caught up in her fashion designs and lost track of time. The sun was sliding quickly toward the top of the Frosted Mountains. Soon it would be Sun Dip, the time of day when Berry and her Candy Fairy friends got together at Licorice Lake to watch the sunset. They liked to catch up with one another and eat sweet treats. “There you are!” Melli the Caramel Fairy exclaimed as Berry landed on the red sugar sand at the lake. “I was getting worried!” Raina the Gummy Fairy said. Berry smiled. “I wouldn’t miss Sun Dip and Melli’s fresh caramels,” she said. “And I want to see Princess Dash.” A smile spread across her face. “I’m still not used to saying that,” she said, giggling.